SoftPlanet makes it possible for everyone to get free MediaGet download directly from our servers. There is no registration needed for downloading. MediaGet 2.01.3227 is extremely handy software, which enables you to search and download multiple torrents. You can have it absolutely for free without any charges. MediaGet is very appropriate for download multimedia files, because of its built-in HD player. Thus you don't have to use 3rd party software for media playback. 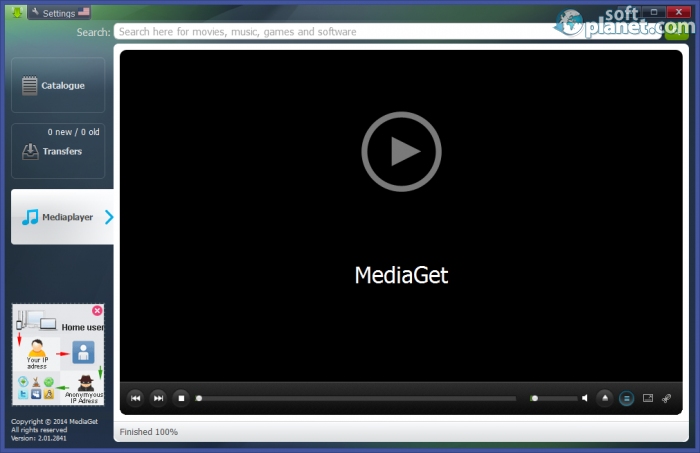 MediaGet 2.01.3227 is cross-platform software, which supports Mac and Android-powerd devices too. Thanks to its integrated search, it is extremely easy to find any torrent on the Internet. 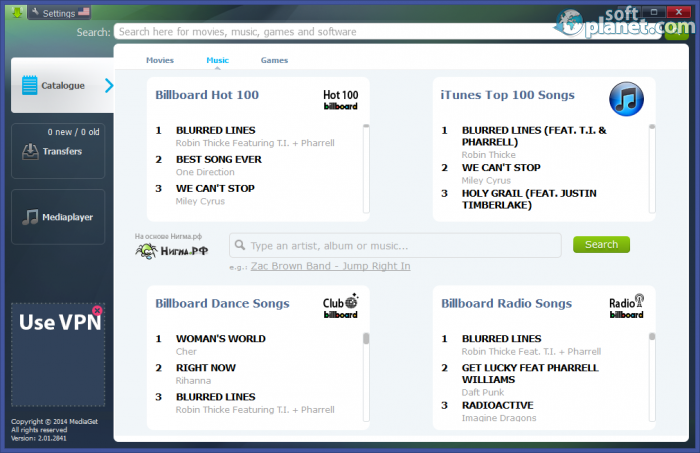 Its catalog includes three sections, which enables you to specify the category of your search. It offers a built-in media player as well, which enables you to watch movies directly from the app as well. MediaGet looks very well. It includes three main menus to the right – Catalogue, Transfers and Mediaplayer. On top you will get the built-in search field. Please keep in mind that MediaGet is an international application and comes with several globalization options such as English, Russian, Ukrainian, Italian, French, Spain, German, Portuguese (Brazil), etc. 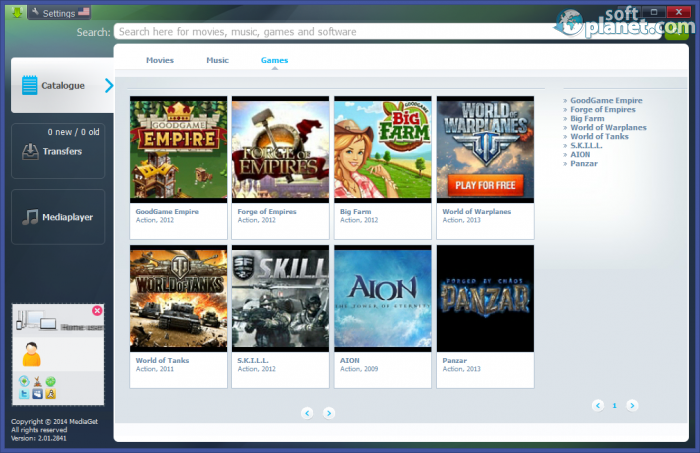 In addition, you can choose between a new and old layout as well. 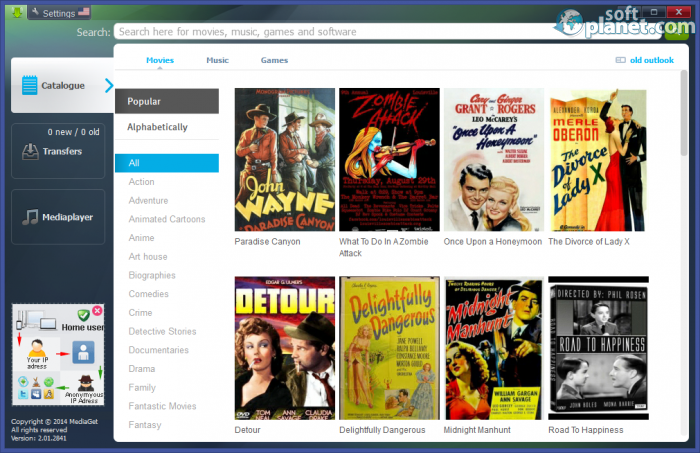 MediaGet 2.01.3227 is decent software, which enables you to search and download torrents in a simple manner. Please do not hesitate to share your personal experience. Our security scan shows that MediaGet is clean from viruses. The current version of MediaGet has been scanned by our system, which contains 46 different anti-virus algorithms. That ensures that MediaGet 2.01.3227 is 100% safe for your computer.